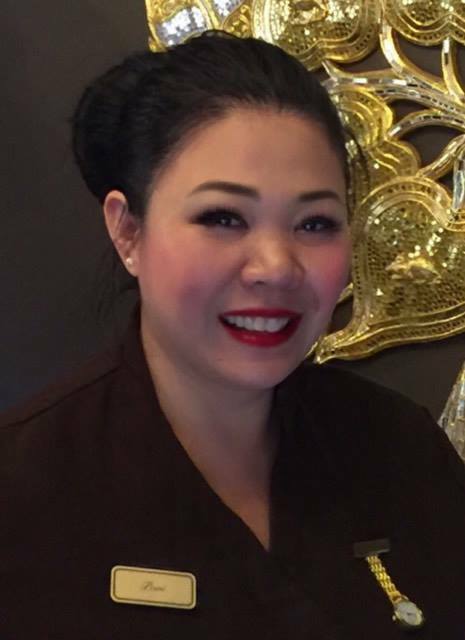 Discover more about the woman behind Senses Of Siam. I’m originally from Thailand. I first came to England after I graduated from Bangkok University to further my studies in Coventry in 2002. During my studying, I was working in Thai Day Spa in Leicestershire. This was where it all begun for me as a therapist and my career choice changed completely. I developed a love for my job and gained a vast experience and knowledge of many treatments as well as products. Now, myself and my team of fully qualified and highly experienced therapists are able to offer a full range of spa quality facials, massages, Thai therapies, beauty, holistic, nail and body treatments. Pevonia Pevonia is a world renowned skincare range which is used in elite leading spas around the world. Their 100% natural products with organic extracts contain no parabens, mineral oil, lanolin, artificial fragrances, artificial colours, PABA, SLS or alcohol and are not tested on animals. Janjira “Art of Siam” using the finest natural ingredients direct from Thailand. Janjira inspired by Thai cultures and tradition and innovative technology. Skinbase Microdermabrasion system for your beautiful skin. CND Shellac gel polish and CND Vinylux nail polish. Lash Perfect for your beautiful eyelashes. Why not visit us in our authentic and wonderful settings where I’m sure that you will be pampered to perfection! So now you will be able to enjoy many of our wonderful treatments and maintain the benefits with beauty & healthy regimes at home with the various homecare products that I have available to purchase. My team and I believe in giving the best treatment and the best service with our professional skills at an affordable price to suit everyone. The Wat Po Traditional Medical School, Thailand. Fully qualified and fully insured.